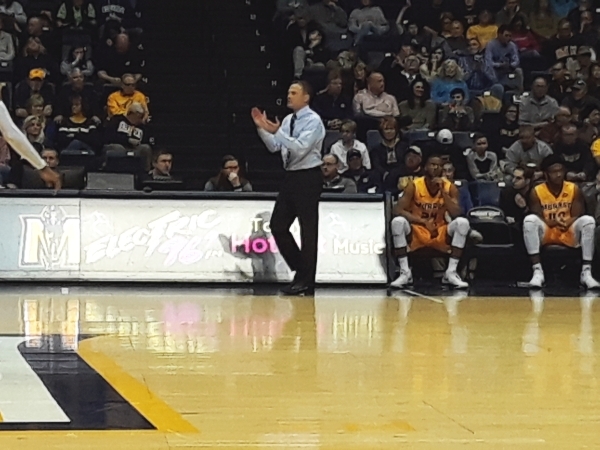 The Murray State Racers crushed visiting Southeast Missouri tonight, 89-73, at the CFSB Center. With just 3:03 left in the first half MSU held a tenuous 33-31 advantage. But the Racers proceeded to outscore SEMO 12-3 heading into halftime. After that, the Redhawks were never able to close the gap. "In the first half they shot 26 percent from two but 55 from three and knocked down six big ones," head coach Matt McMahon said. "Then in the second half we held them to 2-of-10 from the behind the arc. We did a much better job in our rotations and that allowed us to get out in transition." Jonathan Stark led the Racers with 36 points as he hit 9-of-16 shots from the field and all 14 of his free throws. Ja Morant had 17 points, seven assists, and five rebounds. Terrell Miller had 11 points and seven rebounds. And, Jalen Dupree had 10 points, three rebounds and two blocked shots. Ledarrius Brewer led the way for SEMO with 19 points while Denzel Mahoney had 14, hitting all eight of his free throws. "Jonathan put on a show," McMahon said. "But you really have to give a lot of credit to our forwards. They really did a good job with their ball screens. They changed the angles. They sprinted and screened. I thought they did a really good job of freeing our perimeter players up." The Racers host Tennessee-Martin on Saturday at 7:00 pm CST.